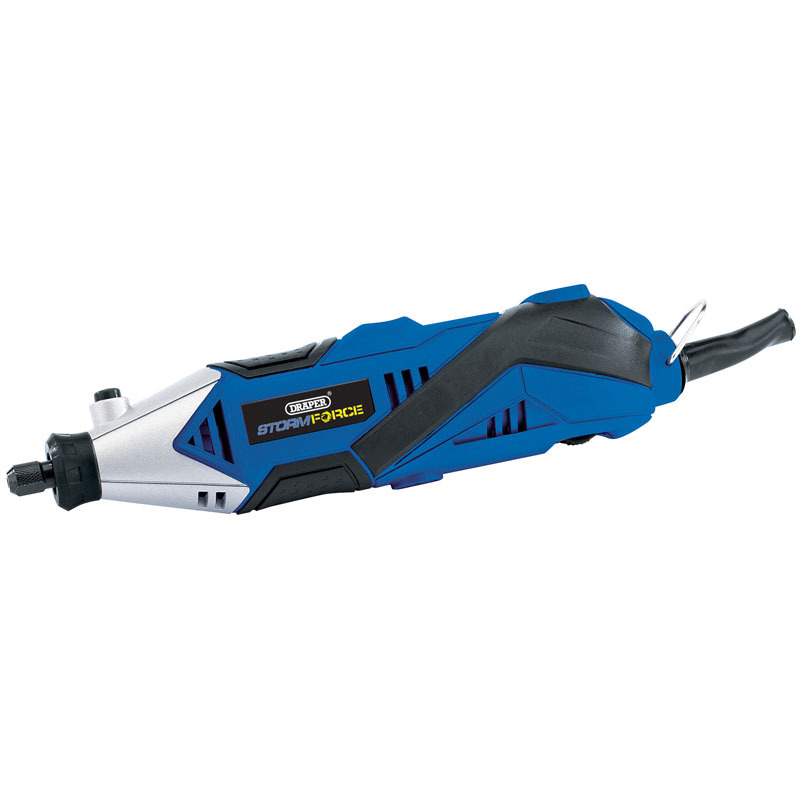 Storm Force® multi-tool kit fitted with a 135W variable speed motor. Supplied with a handy flexible drive shaft, perfect for use in hard to get at areas or for delicate work. The ergonomic soft-grip handle delivers user comfort, even when used for prolong periods. Suitable for drilling, milling, grinding, polishing, engraving, cutting and many other tasks around the home or workshop. Supplied with a host of accessories all stored in a sturdy carrying case. 25 x cut off wheels, 16 x sanding drums, 10 x polishing discs, 10 x sanding discs, 10 x grinding points (80grit), 5 x small felt polishing wheels, 5 x large felt polishing wheels, 3 x diamond grinding points, 3 x HSS drill bits, 3 x collet sizes; 2.0, 2.4, 3.0mm, 1 x whetstone, 1 x brass wheel, 1 x nylon brush, 1 x disc holder, 1 x polishing wheel holder, 1 x bristle brush, 1 x small drum holder, 1 x large drum holder, 1 x flexible drive shaft, 1 x collet spanner with plain slot screwdriver. This entry was posted in DIY, DIY Featured, Special Offers & Featured Products and tagged draper, Multi Tool.